As its name suggests, the Affordable Art Fair (AAF) offers buyers a whole range of art that won’t break the bank. Nearly 100 galleries will be participating in the fourth edition of the event this year, with all works on sale for under $10,000. Here, Gwen Pew speaks to the directors/managers of three local galleries that suit a range of budgets to find out more about who and what you can expect to find at their booths. ‘Heritage’ by Beng (aka Benny Goerlach). Image courtesy of Culture Square. Highlighted pieces ‘Our gallery showcases a lot of local talent in Singapore, including a variety of locally-themed pieces. Some notable pieces we’ll have featured are Shelby Dillon’s oil on canvas “Arab Street” ($589), Fyerool Darma’s “Anatomy of a Merlion” ($589), which whimsically depicts how our country’s mascot would look if documented as part of a historical anatomical study, and Beng’s silkscreen print “Heritage” ($490, pictured), which questions the cultural costs of Singapore’s rapid development. 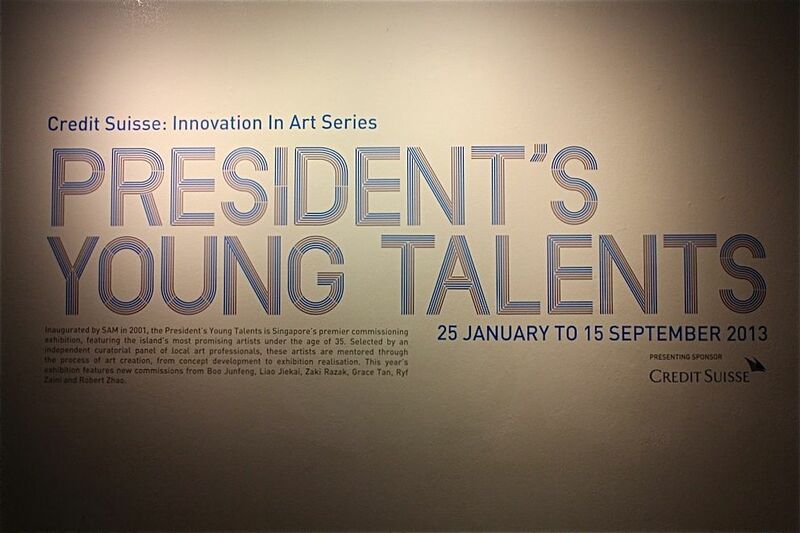 4 Feb 2013: Founded by the Singapore Art Museum (SAM) in 2001, the President’s Young Talents (PYT) is a commissioning exhibition that gives the most promising emerging young local artists – all national or permanent residents of Singapore aged below 35 – a chance to be mentored through the process of art making. 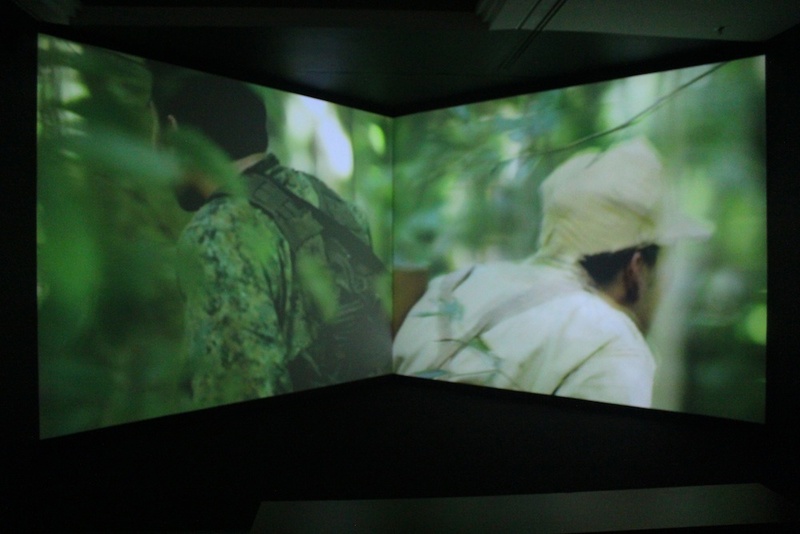 There are a number of familiar names in this year’s crop, who were each nominated by an independent curatorial committee of local art professionals and selected based on their existing portfolios and a series of interviews Each artist was paired wither two mentors, who provided guidance and feedback throughout the process – among the mentors this year are Singapore Biennale 2013 curators Tay Swee Lin and Tan Siu Li (of SAM), Lasalle and SMU educator Shirley Soh, ceramics artist Ahmad Bakar and artist Cheo Chai Hiang. As a new incentive, up to four of the PYT artists this year will be selected to further develop their work for the Singapore Biennale 2013, which is scheduled to take place from 25 Oct. Gwen Pew chats with the six selected artists to hear what their new works, now on display at SAM until 15 Sep 2013, are about. President’s Young Talents 2013. Photo by Gwen Pew. ‘Mirror’ by Boo Junfeng. Photo by Gwen Pew. Why did you choose Bukit Brown as the area for your film? It is a place that is rich in history and biodiversity. During a workshop with the actor, Irfan Kasban, we laid down among the tombs for several minutes and took in the tranquility of the cemetery. It really is beautiful. It’s no wonder why an estimate of 100,000 people chose it to be their final resting place. It’s a pity a highway is going to run right through it and destroy all of that. Can you give us a sneak peek of what it will be about? It is about an injured soldier who is lost in the forest, among the tombs. How was the piece conceived, and what were you inspired by? I was inspired by a tour I went on in Bukit Brown which was led by volunteers who cared deeply about the historical and ecological value of the place. Their passion in wanting to preserve it was very admirable, but there’s also a sense of helplessness when it’s just the few of them versus the government agencies. I wondered if things like history, heritage and nature really mattered less just because only a few people cared. What is the message that you’re trying to get across with this work? I don’t think there is ever a singular message. What was the most valuable thing you feel that you gained from the mentorship? Did it go the way you expected it to? My mentors introduced me to the concept of Expanded Cinema and the philosophies of other film artists. In the process of making ‘Mirror’ gave me an opportunity to question and deconstruct filmmaking conventions, which was on its own very inspiring. ‘Brothers’ Quarters’ by Liao Jiekai. Photo by Gwen Pew. 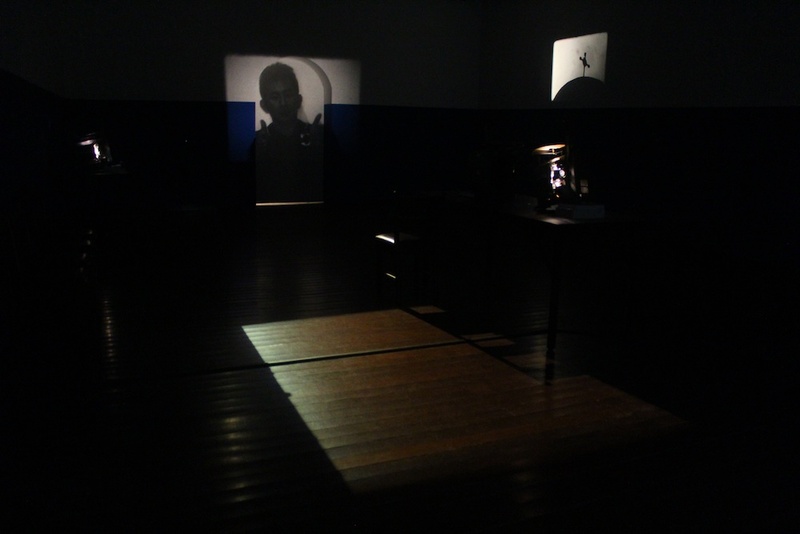 Your piece consists of an installation with film projections – but what does it actually show? Talking heads, the act of remembering, emotions and feelings, age. Architectural motifs, religious icons, passage of time, parallels, deterioration – [these] are words that came to my mind when I saw the film projections. The piece was not conceived like the way Newton discovered gravity after seeing an apple fall from a tree; it was not an immediate surge of inspiration, but rather a long drawn journey of research, interviews and looking at the installation site. It is a project that evolves at every step of the way, even right now. I did quote from Italo Calvino’s “Invisible Cities” in my artist statement, and I think that in recent years, my practice had been drawing more influence from literature compared to any other art forms. Did you choose to centre your work around SAM because that is where the exhibition will be hosted, or have you got any other – perhaps more personal or sentimental – attachment or curiosity about the place? When I first received the commission, I visited SAM and walked through the site where the Panorama exhibition was still on. More than looking at the art works, I got interested in the construct of the gallery space; how the place assumes this neutral state of a white cube and recedes into the background as the art pieces take center stage. Inspired by the SAM building and architecture, I decided to make a work about SAM because I don’t want to see it as a Museum. 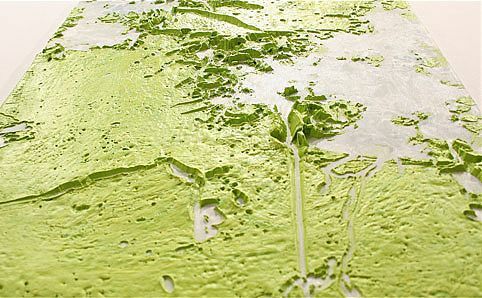 I am curious; I want to investigate the history of the place through the process of art making. Do you think, after having completed this project, that the past and present of buildings can be reconciled? I don’t think that it is about having any form of reconciliation between past and present, because time is always presented as a continuum in everything around us. New things grow old as old things disappear. One very interesting discovery was that the newly constructed buildings in SAM contain architectural motifs that are a simplified or stylized version of the ones in the preserved/restored buildings. It helps distinguish the past and the present, to make clear the very distinct periods of history. After all, the building’s current identity as a Museum will also eventually become part of its history, and an even larger one at that. To what extent do you believe that buildings should be preserved, rather than demolished to make room for the new? Is there a balance? 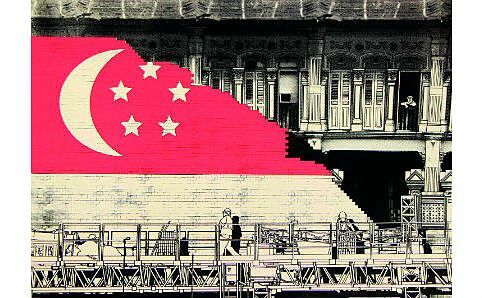 I must admit that I began the project as a cynic, thinking that there is a certain bias towards our colonial legacy in the preservation process in Singapore; colonial buildings tend to be favoured for preservation while modernist buildings like our former national library and national theatre have to go and make way for development. But as I move on in my research, I realised that these debates are much more complex, and like all other people, we want to simplify things because it makes it easier to justify our cause: whether it is preservation or progress. Preservation is also a doubled edged sword at times; a building may be preserved and restored in its physical form, but depending on the new social function or institutional identity it assumes, perhaps a certain spirit or aura about the place will be lost, that I feel is more precious than anything else. I think that the more important question that we should be asking ourselves, is why are we preserving, and what does progress mean to us? What were some of the difficulties you encountered in putting the work together? Working on a close-to-obsolete medium like film is very challenging in this part of the world. I had to purchase most of my second-hand film equipment, and to process and print the film in America. It is also challenging because film is not a medium I usually work with – the last time I used celluloid film was in 2006 as a student in Chicago. There were many things and processes I have to familiarise myself with again in order to get the project going. ‘Refuge’ by Grace Tan. Photo by Gwen Pew. Refuge was conceived as a symbolic gesture/form of my artistic practice and identity. it revisits my training as a fashion designer and the starting point and progression of my practice (how it all came about and where it will lead to). It is a challenge that I set myself with – to work beyond my comfort zone and to see/get to know myself. It also questions my methodology and nature of my working process that juxtaposes logic and intuition. Nature has always played a role in my work although they tend to be more obscure. I couldn’t help but think of imageries in nature – of flowers in bloom, dense foliage and clouds as I started work on the project. I was also looking at the amazing webs found in nature. Why were plastic price tags chosen as your form of medium? Did you consider any other materials? I wanted to set a challenge for myself for this commission. I have always worked with fabric, paper, and more recently, metal, but I was inspired to look beyond my comfort zone for a new material. I knew I needed something that could be connected to form a large interlocking structure. Somehow, repetition and working with a singular unit/component have always been in my work and it was natural that I looked for something that could come together to form some sort of a form. Where did you find the plastic price tags? I saw the polypropylene loop pin in a stationery store and its design caught my attention. Somehow, it reminded me of the stamen of flowers. It looked organic to me. It also works as a single unit that could be linked to form a structure. I bought some and started playing with it and in no time, I found a language to connect them. It resembles a knitted structure and with the multiplicity of loops, it creates a beautiful and organic 3D form when hung. What will the final piece look like? 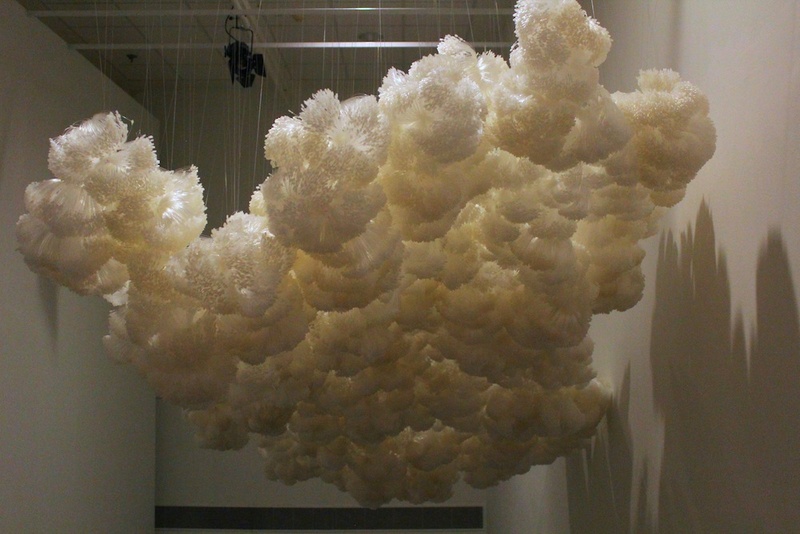 The loops are linked and connected to form cloud-like clusters suspended from the ceiling. It is not possible to tell how the work/installation will look like at this moment as it is a work-in-progress (this is usually how I work). I have some diagrams as a guide for the composition but I will only know when I start installing the clusters on site. As I am working with a physical 3D space, the composition and intention of the work will only reveal itself when it is in the space. What I know is that it will form a landscape of some sort and it will envelop and wrap the visitors as they walk up / down the staircase in the gallery. This work is personal to me as it questions my identity and practice as an artist and what my work means to me. I hope the people who have participated in this work (people involved in the assembly, production, installation as well as the museum, curators and visitors) will make their own connections and meanings with the work. The dialogues and insights. Personally, this nomination came at a critical juncture of my artistic practice. I’ve been questioning my methodology and identity as an art practitioner and the conversations reiterates some of the questions, uncertainties and views I have been pondering. I find the mentorship to be a meaningful process. The conversations also made me think deeper about my work and it is a part of my artistic growth and development. ‘Unveil the Curtain to the Window with no Ledge’ by Ryf Zaini. Photo by Gwen Pew. I know that you will be creating an installation with lamps and switches, but what will your final piece look like? 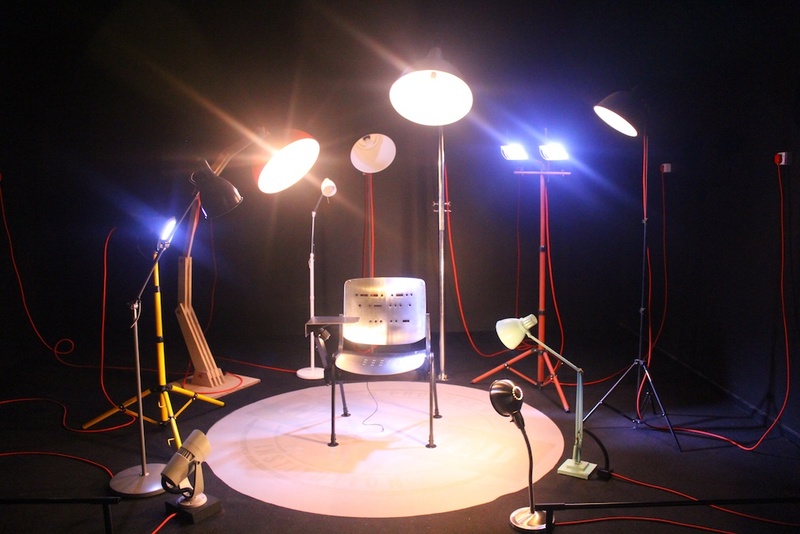 How will the lamps and switches be presented? The final outcome of the work depends on what you gather as the viewer. I think that the work has several levels that will present differently to different people. The lamps and switches are just one aspect of the work. 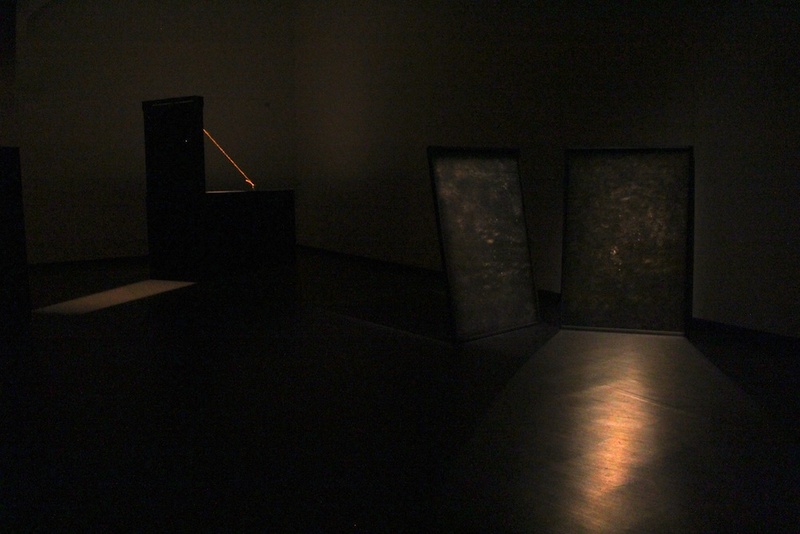 But in creating the installation, a series of other works tend to identify the objective of the work. Thus, the work is designed in such a way where, it really depends on the viewer. To the inquisitive, they will see a much more intricate process that weaves to the final outwork, whereas for the ones who aren’t, will picture a totally different final outcome. Will the public be able to interact with them? The nature of the work requires exploration. It’s up to the public to be inquisitive and curious enough to venture further from the obvious to see if it’s interactive. To be honest, the site itself became the inspiration. 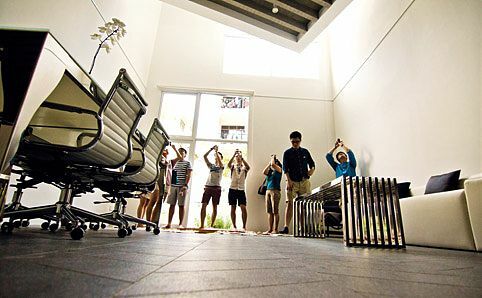 The historic heritage of SAM building as an institution played a very significant role in constructing its framework. I would like to bring that essence within the context of this installation, by formulating them in a more modern representation, by the use of lamps and switches. The design is based on how SAM instigates the growth of knowledge and information. And that this form of understanding somehow seemed to make the subject matter clearer by providing answers and results in a way, that ‘enlighten’ us. What does the title mean or signify? I’d like to place the title as a prelude to the installation. It beckons questions more than it does answers as it tries to riddle past the mind, and makes one try to understand the meaning of the work. Like all things, when we uncover a certain information or knowledge, it seemed to enlighten us, to bring ‘light’ to the matter. This is what I’m trying to present, to the public. And that knowledge only comes to those who explore and are interested about the subject matter. Information does not retain with our minds, if we are not keen on its subject matter. We should not go thru the phase of the forced institution where we are coerced to learn things that we are told is important to us. Knowledge is better received with interest and understanding towards the subject matter. It should not be pressured by the society to uphold, both in economics and financial standing. It should be something worthwhile that drives the human spirit to live their lives. Interacting with mentors is certainly a great privilege. The dialogue we had certainly helped in the progress of my work, as their advice stems from experience, knowledge and their expertise within the field. The work has since expanded to areas where ideas were never thought upon, but at the same time, re-directing it towards a more concise objective. The supervisor’s role is to challenge your ideas at times to a point of debate, but then you’ll realise that their intent is the same as yours, to iron out the work and make them more effective. They offer on many countless occasions only suggestions, never obligatory decisions. ‘The Quiet and the Alarming’ by Robert Zhao Renhui. Photo by Gwen Pew. Why did you choose the wild boar controversy as a starting point of your work? When I was told to come up with a new work for the exhibition late in April last year, the wild boar situation was something that I was talking about a lot with my nature loving friends. There were contrasting perspectives on the situation but they were all largely man-made. I wanted to see if art has anything to offer when looking at the wild boar in Singapore. What will your photographs be of? Is there a storyline that links them or are they simply a collage of images? I have just finished the last touches of the installation in my studio. It looks rather grim. There’s a rather dark storyline flowing through the images. The images are taken during my many wild boar sighting trips and referenced from the media. There’s this image of the ‘first wild boar hunt’ in Bishan Park that I recreated that quite summed up the situation quite nicely. Then there’s another image of wild boars being hunted in the 60s because I think it’s good to remember wild boars have always been a part of our landscape. Then there’s another image of a blown up image of the fur of the wild boar which looks pretty much like stars in the sky. Will there be anything unusual in the way that they are presented? It’s very dark. I think it’s mainly because I have been observing the wild boars mostly at night. I actually spent more than 60 nights trying to photograph a wild boar. I don’t really have a message with this body of work. I think the point of the work is that all meanings will fall flat the more you try to seek for one. I think everyone has opinions on what a wild boar is doing in Singapore. There is no definite position which one can take when talking about wild boars. Ultimately, it’s just an animal that has become too visible. I think having a constant dialogue when creating a work was a really good way of working for an exhibition. 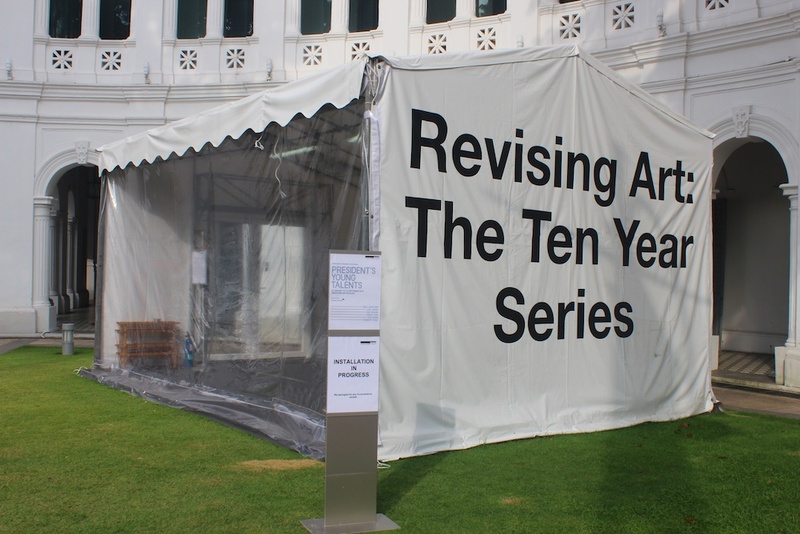 ‘Revising Art: The Ten Year Series’ by Zaki Razak. Photo by Gwen Pew. What is the significance of the title, ‘Revising Art: Ten Year Series’? ‘Revising Art: The Ten Year Series’ signifies a decade of artistic practice (2003-2013), which has inflicted upon my understanding of art – looking back at the series of realizations from the beginnings of graphic design to the foray into street art; from understanding the complexity of the contemporary art world to the daily dosage of absorbing and reflecting the Holy Quran. The title paradoxically references the ‘ten-year series’, a familiar term for Singaporeans, who have gone through Singapore’s educational system and the yearly revision I have enquired on the definition of ‘art’. A platform apt and timely for my proposition on the pedagogies of understanding art, I aspire to ‘build’ or propose an art school based on facilitating the public with knowledge and learning experiences. Throughout nine months, there will be ten ways of learning by ten selected facilitators (including myself), each taking on respective subject such as dance, classical studies, theatre, science, music, spirituality, business and food – all to be conceived under one tent. I have always wanted to ‘build’ or start an art school – one that emphasizes on the pursuit of knowledge rather than for the sake of commodity or economy. 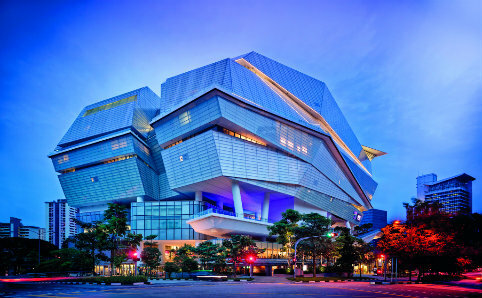 You must have asked why despite of the two prominent art schools we have here in Singapore. The problems on the pedagogies of understanding art, which I have experienced in these schools aspires me to conceive this project. 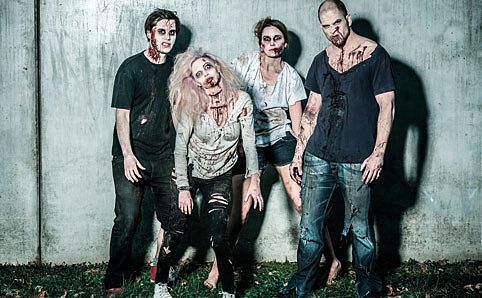 You and your accomplices will be delivering lectures throughout the event – what are some of the topics that you will be discussing and how did you come up with them? There will be topics inherent in art schools, topics, which interest me for almost a decade and topics lacking in art schools. It will be a compilation of diverse subjects which focus lies on criticality and creativity. What considered primary is to advocate the slogan of ‘unlearning’ – not to indulge in ‘fixed’ system of learning, to ask more questions that being content with answers and to participate regularly in collaborative efforts (being multi-disciplined) in order to battle the dominance of specialization of respective faculties. The process of the mentorship is the best element of the President’s Young Talents. Not only I am fortunate to have negotiated thoughts and ideas with Cheo Chai Hiang and Shirley Soh, the understanding of our concerns with regards to the nature of this project and its relation to society and the happenings of the global stage were critically addressed. This mentorship, in fact, is indicative of the foundation that a school should adopt. It is grounded in reality. Indulgence in spectacle and illusory perceptions are absent.